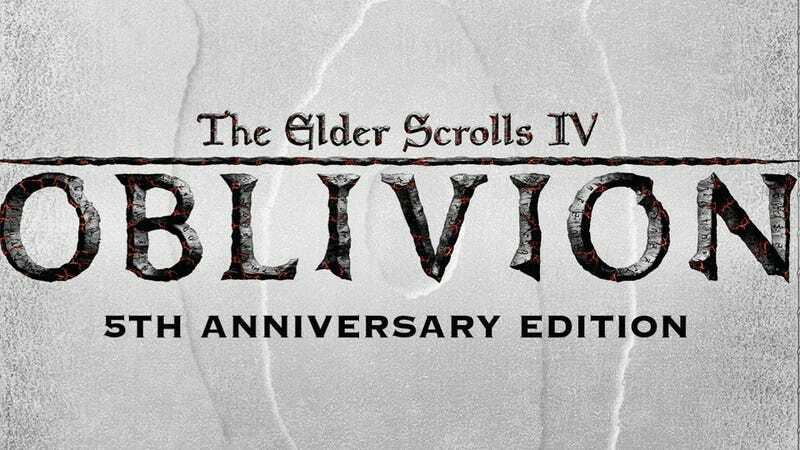 The Elder Scrolls IV: Oblivion, one of the most expansive and successful role-playing games of all time, seems set for a limited re-release, as retail listings for a 5th anniversary edition begin appearing online. It includes the material from the original Collector's Edition (like map and bonus material discs), along with a discount coupon for the game's upcoming sequel, The Elder Scrolls V: Skyrim. Looks like this re-release will be out on PC, 360 and PS3 in June.